A huggable concept book about the days of the week that doubles as a puppet! Matthew Van Fleet’s huggable multiconcept book introduces preschoolers to textures, colors, critters, and the days of the week. 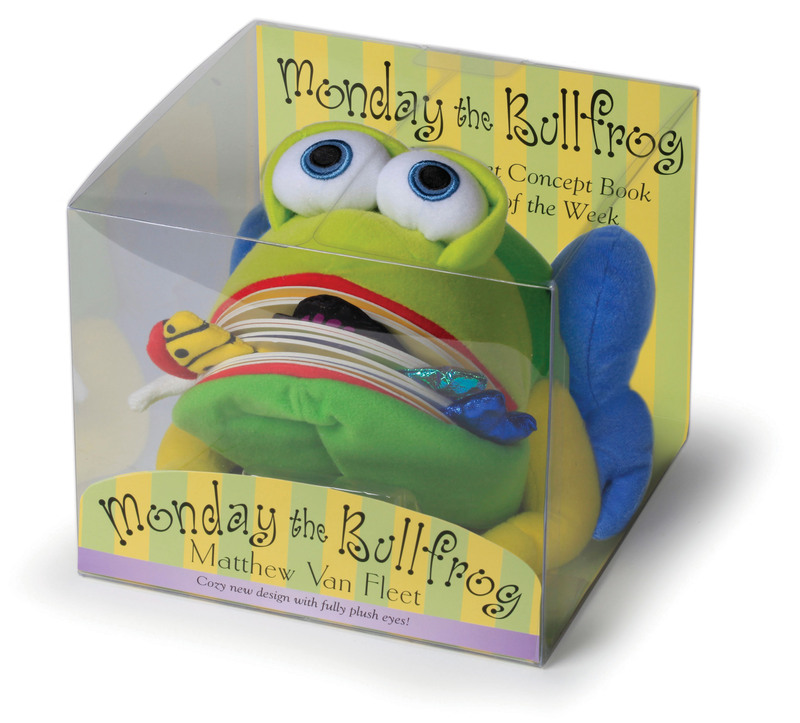 When slipped onto a hand, the cuddly bullfrog becomes a beguiling puppet with a mouth that opens wide for every meal. The cleverly textured pages will tickle fingertips and funny bones while revealing clues to what’s next on Monday’s colorful menu, from a twinkly glow-in-the-dark snack to a mirrored surprise ending reflecting the sweetest dish of all.